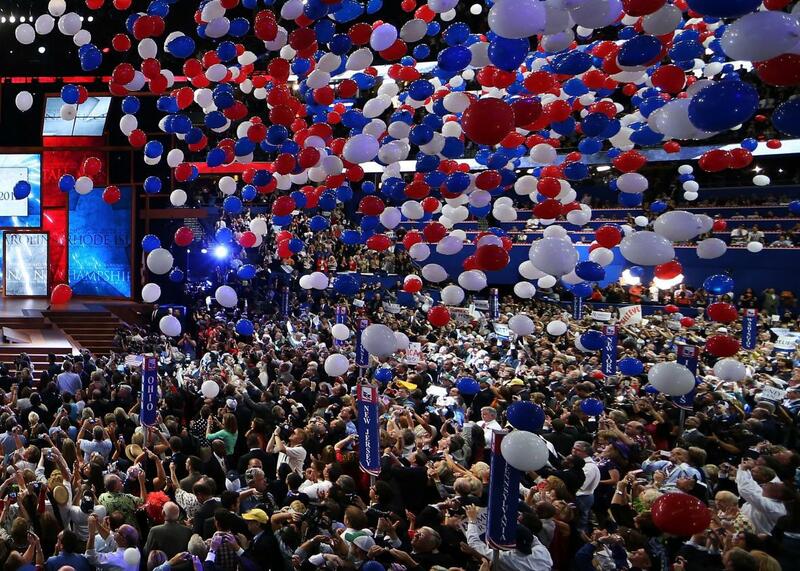 The Republican National Convention at the Tampa Bay Times Forum on Aug. 30, 2012 in Tampa, Florida. Due to climate change, Antarctica might melt much faster than we thought, and thereby trigger sea-level rise along continental coasts across the globe. We are talking about existential threats to major coastal cities worldwide. This is not good, people. If global warming doesn’t kill us all, Trump might. But his apocalyptic ascent to the presidency doesn’t look very likely as of Thursday. Hillary Clinton’s super PAC released an attack ad featuring Donald Trump’s suggestion that women who receive abortions should receive “some sort of punishment,” just one day after the Donald’s remarks at MSNBC’s town hall. Washington D.C.’s public transit system will undergo repairs that will shut down entire city subway lines for months. It’s gridlock all the way down in the nation’s capital. The Justice Department announced sweeping reforms to Newark, New Jersey’s police department to correct an epidemic of unconstitutional stops, searches, arrests, excessive force, and theft. And Alabama’s septuagenarian governor’s sweet talk with his senior adviser will make even hardened cynics like yourself believe in love.